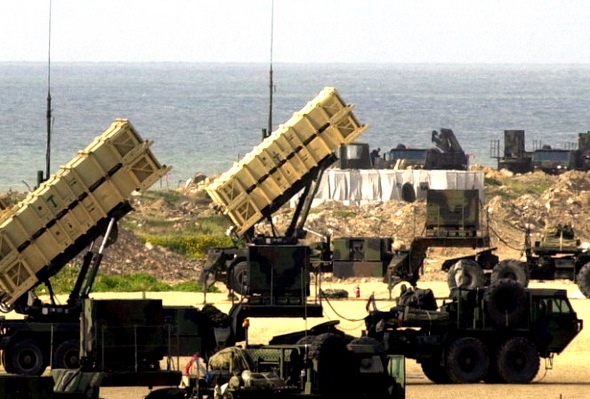 A battery of armed Patriot missiles will station in Poland rotationally, Deputy Polish Defense Minister Stanislaw Komorowski said. “In the near future, in accordance with earlier declarations, there will be a battery of Patriots placed on Polish territory on a rotating basis,” Stanislaw Komorowski said. He added the Patriots would be equipped with elements allowing their integration with Poland’s national defense system. Komorowski was speaking after talks here with visiting U.S. Assistant Secretary of Defence Alexander Vershbow, and ahead of next week’s visit by Vice U.S. President Joe Biden, who is due to meet Polish Prime Minister Donald Tusk to discuss the new U.S. concept of anti-missile defense. Vershbow, for his part, said the Patriot project was part of the Obama administration’s “new approach” to missile defense. He added that in future the U.S. also wanted Poland to host a unit ofSM-3 interceptor missiles. Vershbow and Komorowski also discussed NATO strategies and the ongoing NATO-led multinational peacekeeping force International Security Assistance Force (ISAF) operation in Afghanistan. On September 17, U.S. President Barack Obama cancelled plans to build a missile base in Poland and a radar site in the Czech Republic and instead proposed flexible systems as a defence against Iran. Polish Foreign Minister Radoslaw Sikorski has said that while giving up plans to install missile shield systems in Poland, the U.S. reiterated it wanted to deploy a Patriot anti-missile garrison and U.S. military personnel in Poland. Under the Polish-U.S. accord signed last year, 10 ground base interceptors are to be installed in Redzikowo, northern Poland, part of a larger system that would include a radar system in the Czech Republic, to counter Tehran’s emerging long-range-missile. Russia strongly opposed the plan, saying it posed threats to its national security. Next Next post: To beef up – their income.